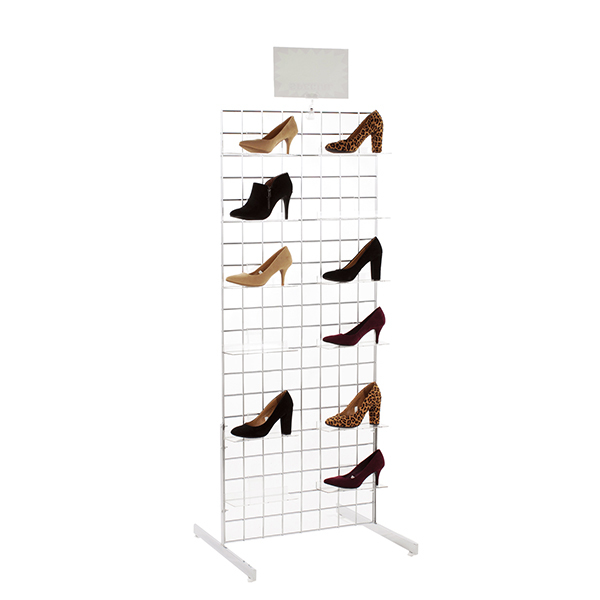 Grid Shoe Display comes complete with a grid panel, legs, and shelves. Each shelf comfortably fits one shoe to create an eye catching display. Includes 10 acrylic shelves. Give us a call! We're here to help! *Specialty Store Services reserves the right to revise any and all pricing, policies and stock and are subject to change without notice. We are not bound by the occurrence of printing and/or typographical errors. Discounts cannot be used on taxes or delivery fees, lighted showcases, custom items, drop ship orders or on previous orders and cannot be combined with other sales or promos.